Ecommerce WordPress themes are powered by Ecommerce WordPress Plugins like WooCommerce, Jigoshop, WP Ecommerce and cart66. 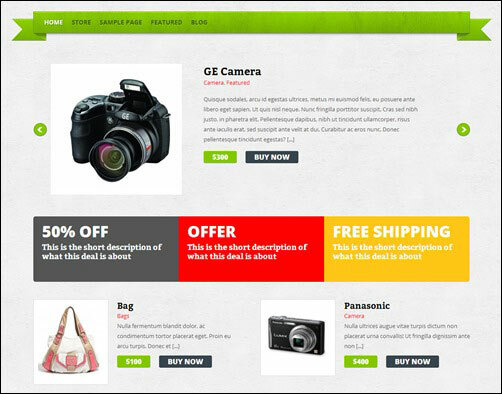 The integration of these plugins will provide you the best free eCommerce WordPress Themes for eStore or eShop. You can build your simple online store with many other eCommerce Platforms, but WordPress Ecommerce themes provides the wide range of options, styles, design and layouts to made your digital or any online store visually rich and stylish. 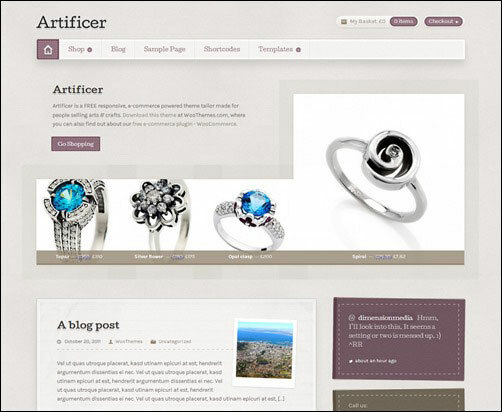 Also, the continuos development of plugins and support made the eCommerce WordPress themes on top of any other options. You can simple create your online store with Free Ecommerce WordPress Themes without spending any pennies. You may know that building Ecommerce site needs more money and more time, but with the help of WordPress ecommerce Templates, you can create your eShop in minutes. Here, We’ve picked top Ecommerce WordPress Themes that are available free of cost to install it in your WordPress blog. Themes include sliders, responsive design, multiple layouts, Page Templates and Ecommerce Widgets and more. 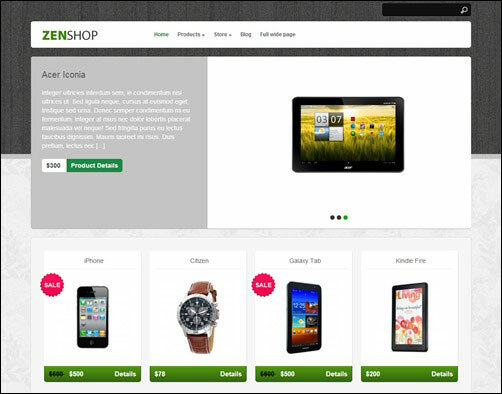 Get ready to start your own online shop with our Free Ecommerce WordPress Themes. Mystile is a minimal but powerful e-commerce WordPress theme for free. 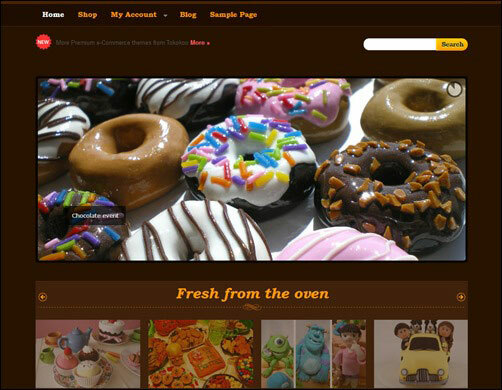 It offers you the responsive design and many colors for you to choose. 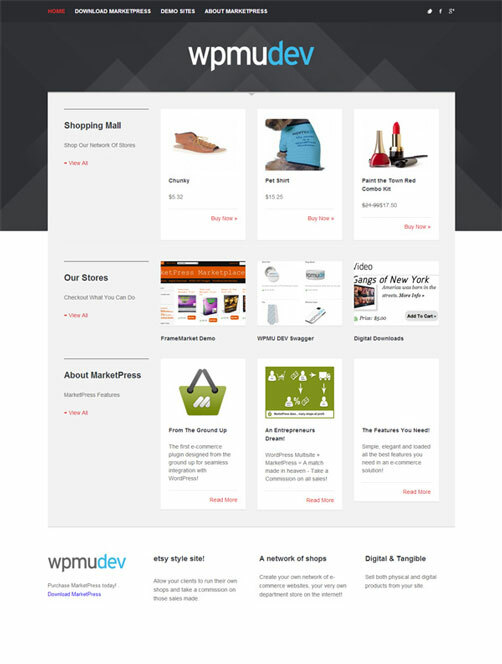 The ultimate MarketPress theme brings visual perfection to WordPress e-commerce. This professional front-end does all the work for you! Wootique makes full use of all of WooCommerce features. 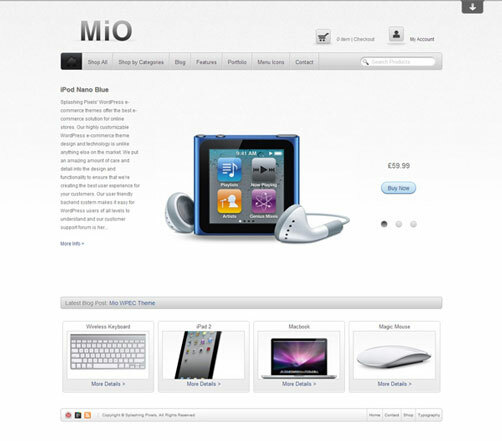 It provides stylish design, beauitful layout etc..
Mio is free WordPress e-commerce theme that combines intuitive “Apple” like style with a refined improvement. This amazing theme powered by WordPress e-commerce plug-in is a great e-commerce solution for any business. 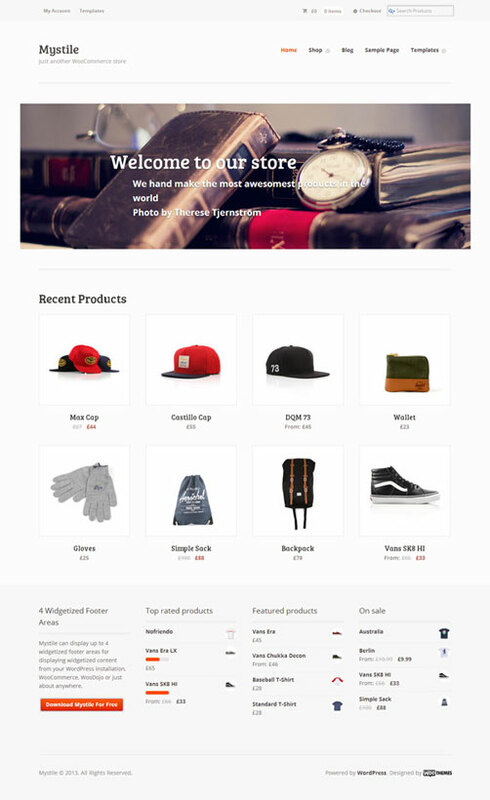 WooCommerce with device agnostic design and gives some rocking eShop WordPress Theme. The theme is feature rich with custom post types, taxonomies, metaboxes, Theme options etc. This theme is for music sellers. 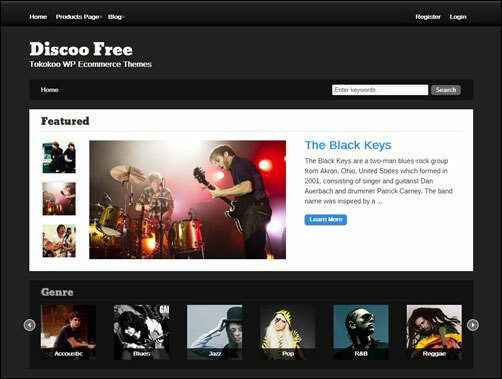 It got MP3 samples preview, Featured Products, Products Search, product slideshow, WP e-commerce 3.8 integration.